Nicolas Cage has 66 films on his acting resume (according to IMDB), so there are plenty of options when putting together a list of his best performances. Recounting the movies I’ve seen from Cage’s career, I found it easy to choose roles that might sit on #4 or #5 on this list. The problem was identifying the top performances that actually stood out from the pack. He did win an Oscar for Leaving Las Vegas, but that film’s power has dissipated for me over the years. Playing the dual roles of Charlie and Donald Kaufman in Adaptation was a good achievement, but it’s hard to overcome my hatred of that disastrous movie. After careful consideration and a few sleepless nights, I feel that these five roles represent Cage’s best work across the wide-ranging spectrum of his 30-year movie career. 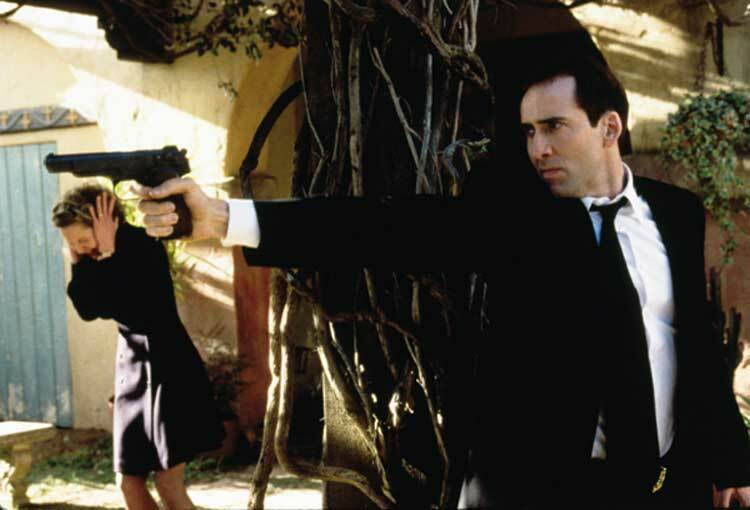 As the lead character/stooge in John Dahl’s modern take on film noir, Cage keeps him believable, even when dealing with larger-than-life figures like Dennis Hopper’s hitman Lyle. Lara Flynn Boyle is the femme fatale who ensnares Williams in the web of deceit and risky double-crosses. I haven’t seen this movie in a long time, but it’s stuck with me as a fine example of a sharp revision of the classic genre. Cage underplays the role that’s essential to the story because he’s part of nearly every scene. 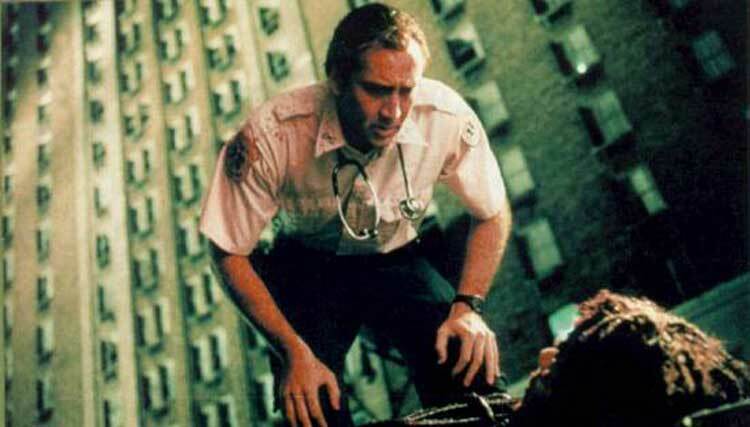 Largely forgotten in the careers of both Cage and Director Martin Scorsese, this flawed movie delivers a convincing, over-the-top look at a paramedic on the edge during the night shifts in Hell’s Kitchen. Supported by a remarkable cast that includes John Goodman, Ving Rhames, Tom Sizemore, and Patricia Arquette, Cage makes Piece’s downward spiral completely believable. It’s not a perfect movie and veers out of control at times, but this tone matches the crazy trajectory of its lead character. Cage does some of his best work and avoids the obvious shenanigans that have plagued some of his sub-par work. This is the quintessential over-the-top Cage performance, and the actor’s style is matched by some ridiculous choices by Director Werner Herzog. I caught this entertaining movie for the first time during this marathon, and it gives Cage the chance to completely let loose. McDonagh is more than just a corrupt cop; he’s also a drug addict who almost constantly is facing complete destruction. This is one of the more outlandish roles for any actor in the past few years, and Cage manages to make it original, which is no easy task. Fitting perfectly inside the surreal world of David Lynch, Cage manages to do an Elvis impression while adding both violent menace and compassion for his girl Lula (Laura Dern). The role of Sailor Ripley is tailor-made for Cage and gives him a chance to show off his dance moves, perform some high kicks, and go way over the top. 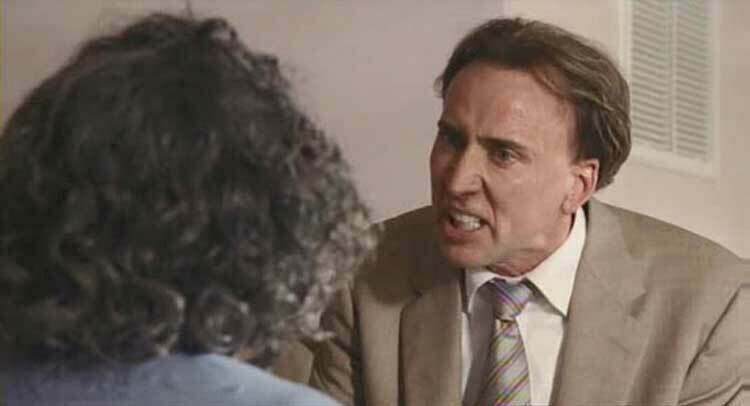 This guy wears his emotions on his sleeve and holds nothing back, which is the best type of character for an actor like Cage. When he tries to hold back too much, the characters just sit lifeless on the screen (Knowing, Lord of War) and put us to sleep. I realize this pick might seem ridiculous to some of you, but I stand by it as Cage’s signature performance. He spends a good portion of the film mimicking John Travolta as the tortured Sean Archer due to the silly procedure of switching their faces. Somehow, Cage manages to deliver one of his most believable performances while firing multiple guns and jumping into speedboats. He also delivers some manic energy in the first act while playing the psychotic Troy. This is John Woo’s best American movie and remains the top performance of Cage’s career. One of the best moments in the theatrical presentation of Grindhouse was the surprise cameo from Cage in the fake “Werewolf Women of the SS” trailer. It only lasts for a few seconds, but this appearance remains one of my favorite parts of the four-hour experience. There were many contenders for this category, but this role in the remake of Wim Wenders’ Wings of Desire stands out as Cage’s lowest career moment. This performance’s failure is not entirely Cage’s fault, though. Director Brad Siberling (Land of the Lost) brings almost zero magic to the story of angels on Earth, and Writer Dana Stevens (Life or Something Like It) makes awful changes that betray the original. However, Cage also deserves some blame for trying way too hard to deliver both wonder and sadness. The emotions seem forced and lack the organic feeling that’s present in his best work. Woo hoo! Castor Troy in first place! Totally agree w/ you, he's sooo good in that one. Believe it or not, I actually like his role in the sappy It Could Happen To You because it's sooo different from what he usually plays. Thanks Ruth! I totally forgot about It Could Happen to You. I remember seeing it on TV a few years after it's release, and it was fun. Castor, I also was surprised by Bad Lieutenant. He's going way over the top, but it actually works in this case, unlike a lot of his other performances recently. Cage's performance in Leaving Las Vegas is my favorite acting performance of the '90s. Knocks the wind out of me everytime. When Cage is good, he's great. When he's not good, he's...Cage. Your hatred for ADAPTATION makes me sad... and then no mention of MATCHSTICK MEN either? Those two movies alone make me a Cage fan! Also, THE ROCK is right up there too. That's the action one I'd go to first. Love to disagree with you on this one! 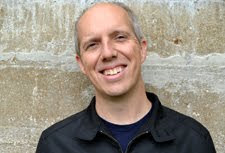 Justin, I do like Matchstick Men and think it was just beyond the list from what I remember. The Rock is a fun movie, so there's nothing wrong with that pick. I just like Face/Off more and think Cage does a better job playing the dual parts. Thanks!